Maria and I have written extensively about Goethe’s Theory of Colour in our book Holonomics: Business Where People and Planet Matter, the reason being that a deep exploration of colour far beyond Newton\s scientific explanation challenges us to contemplate and rethink how we experience the world. 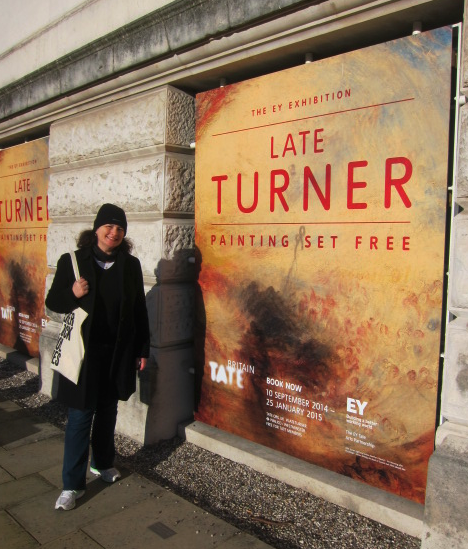 It was therefore amazing for both of us that we were able to visit the Tate Britain this week to see the absolutely amazing exhibition Late Turner: Painting Set Free. This exhibition covers the last sixteen years of Turner’s life, years when he was producing some of his most creative, innovative and spectacular works. 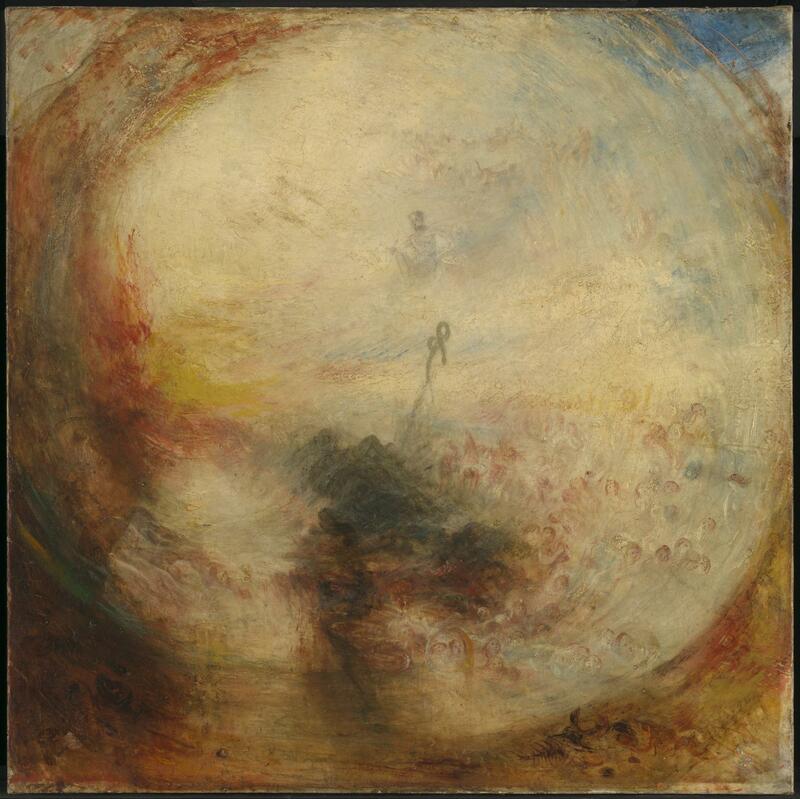 One room was dedicated to exploring new formats of media which Turner experimented with, and the programme notes explain how these were “shocking, mystifying and controversial” they were to his audience, “exploring states of consciousness, optics and the power of paint”. This room was described in the notes as “an exhibition within the exhibition” and contained, for me, one of the most amazing works of art, Turner’s Shade and Darkness – The Evening of the Deluge. This was paired as a painting by Turner with Shade and Darkness – The Evening of the Deluge, seen above, hence me showing this painting first. It may be worth contemplating the image before continuing reading, and you can expand the image by clicking on it. However, there is of course no substitute for being able to see the original paintings in all its power, forcefulness, emotion and spirituality, and I stood for some while trying to collect my thoughts while still attempted to be present and simply enjoy the painting there and then. Obviously it does help to have studied Goethe’s Theory of Colour before seeing the painting, and how his ideas both contradicted and also potentially complemented Newton’s theory of light and colour. I will not attempt to do so here, but it was only on finally seeing the original painting, being so close and able to have some time contemplating, that I felt that Turner has fully understood every aspect of Goethe’s Theory of Colour, and not just his alternative proposal to Newton. This was my major insight, although I do realise that I have not at all attempted to elaborate on this hypothesis. 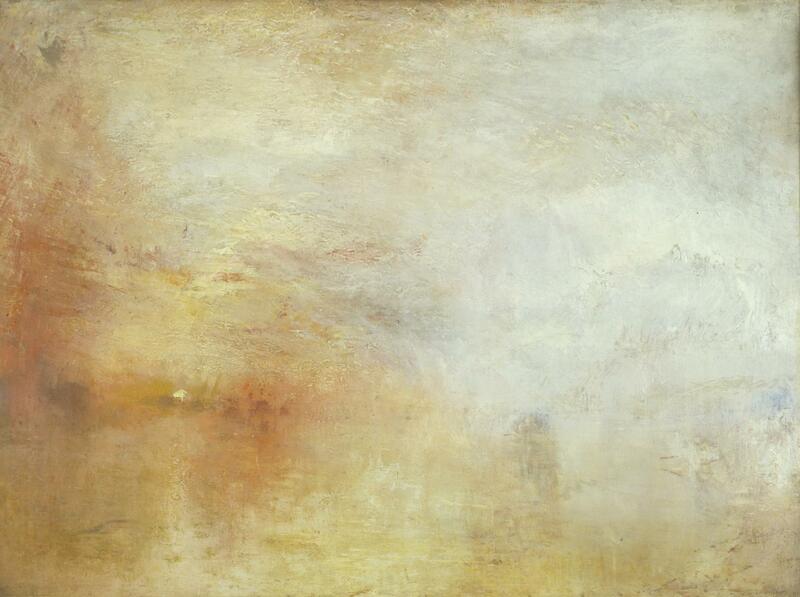 But the painting moved me immensely, as I zoomed in to the rich details and flew out to comprehend the whole, and of course I was seeing this painting in the vast context of so many other brilliant paintings, especially Turner’s much later works where order, structure and figures have broken down into just ethereal radiations of colour and light. Cameras were not allowed in the exhibition, and for this I was grateful. 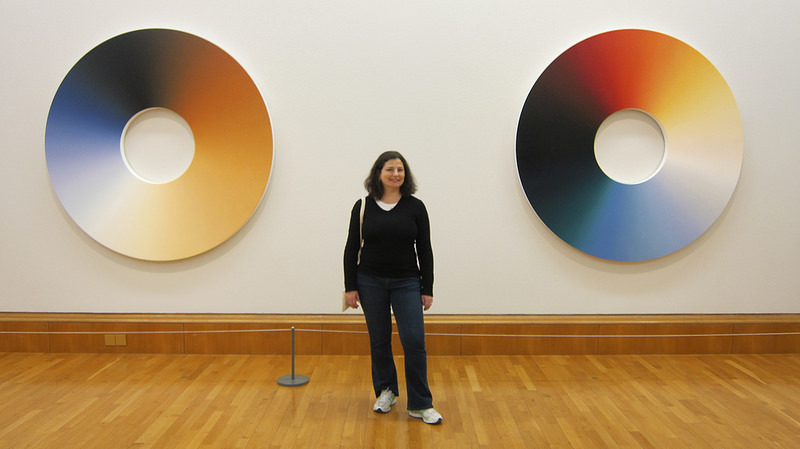 We did though then visit the Olafur Eliasson display featuring his Turner Colour Experiments. 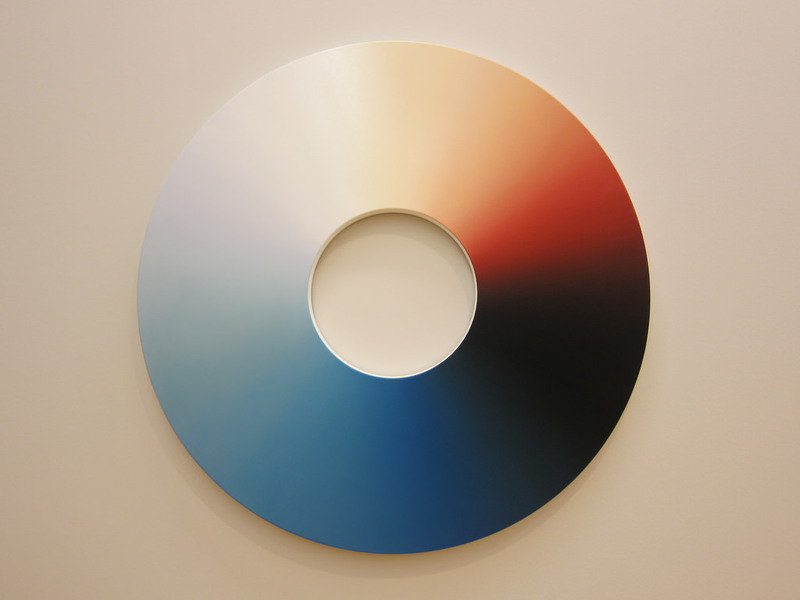 This consisted in seven colour wheels, each one an abstraction of the hues of seven of Turner’s paintings. It’s funny now when you think that in his later years, Turner became a controversial artist, “mocked, derided and misunderstood”. This exhibition was the first of its kind devoted to Turner’s late work, and I cannot praise the team behind the exhibition enough. 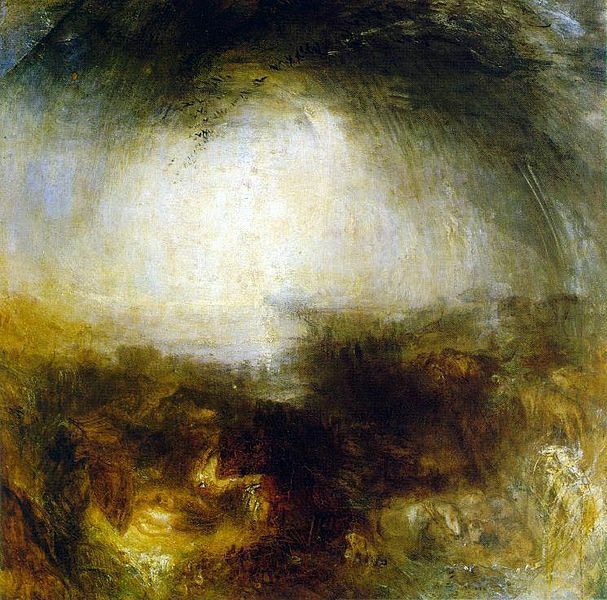 Prior to this exhibition I had not fully appreciated the insane work-rate of Turner, and also his breadth (such as his mythical and Biblical paintings). From a personal point of view, it was a dream come true to see Light and Colour, and having studied Goethe, I also really felt much better able to appreciate his many other staggeringly beautiful works. I know I need to write a little more in the future about the change of consciousness gained from a deeply reflective study of Goethe’s Theory of Colour, and for those of you who would like to find out more, and also how to study Goethe using glass prisms, as I mentioned we do so in Holonomics. But for now, if you are able to visit the exhibition before it ends on 25th january, I cannot recommend it highly enough. Creative conversation: What can a £9 glass prism teach visionaries, design thinkers and game changers?